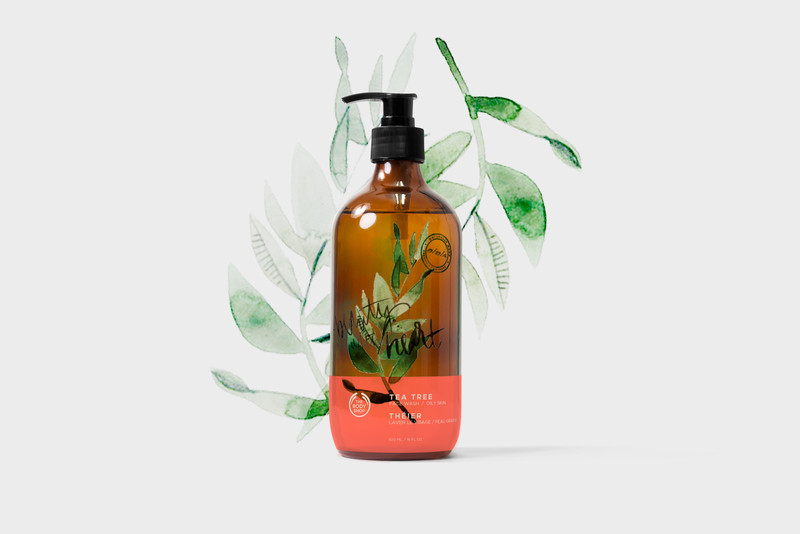 A concept for the redesign of The Body Shop's product line and packaging. 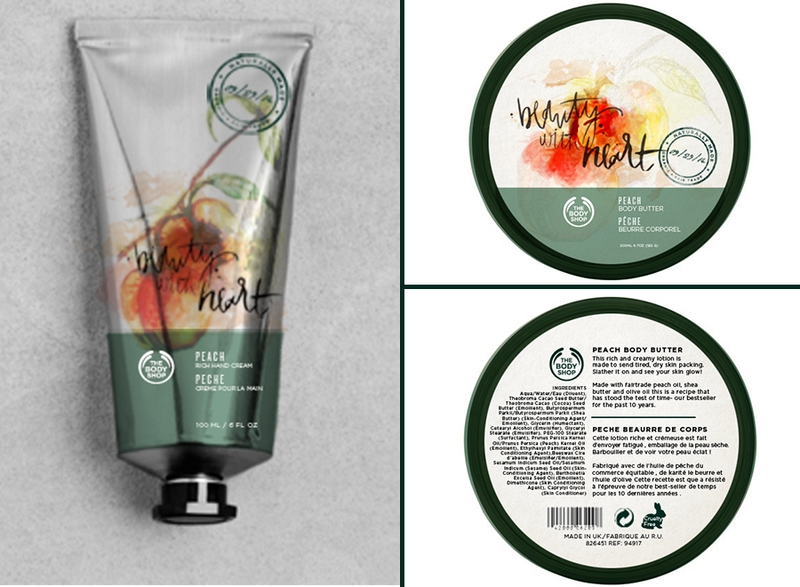 When tasked with finding a company to rebrand for a class project I decided to return to my childhood obsession with The Body Shop. 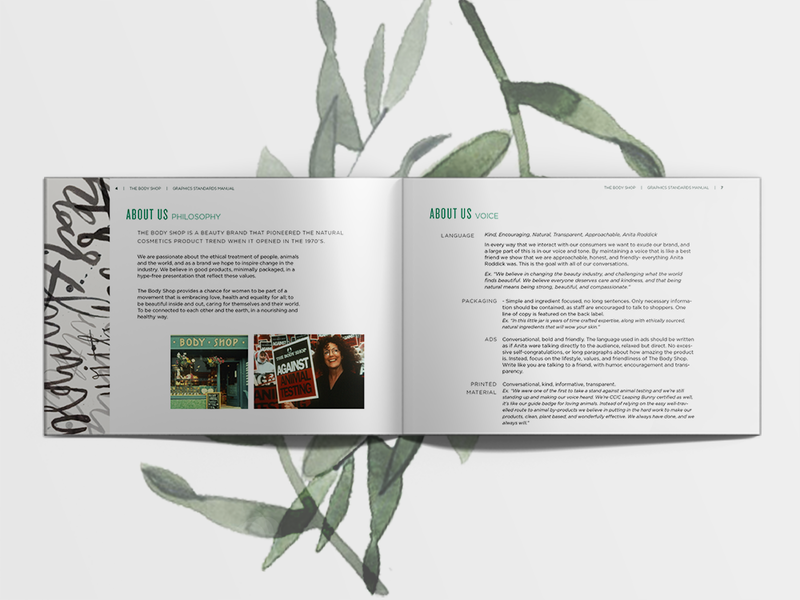 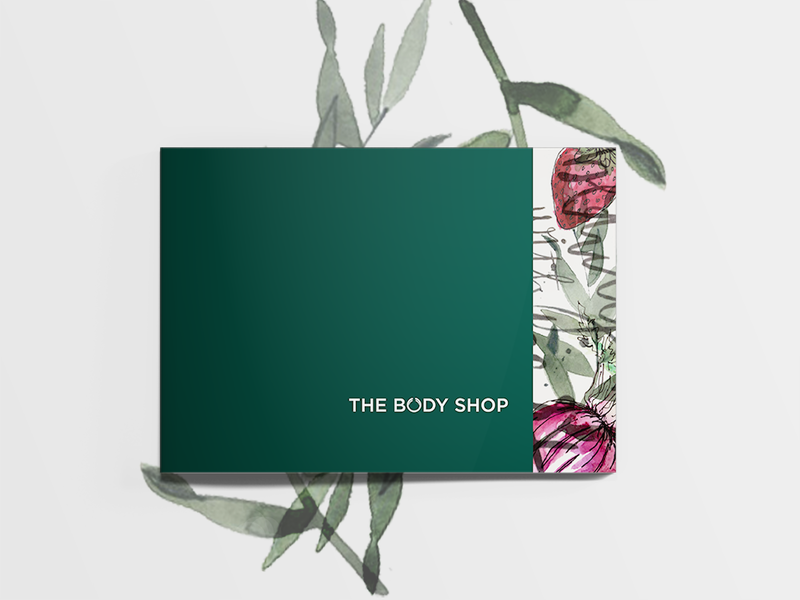 Growing up in the 90's The Body Shop was the epitomy of natural, organic beauty, with it's founder Anita Roddick leading it's pioneering ways. 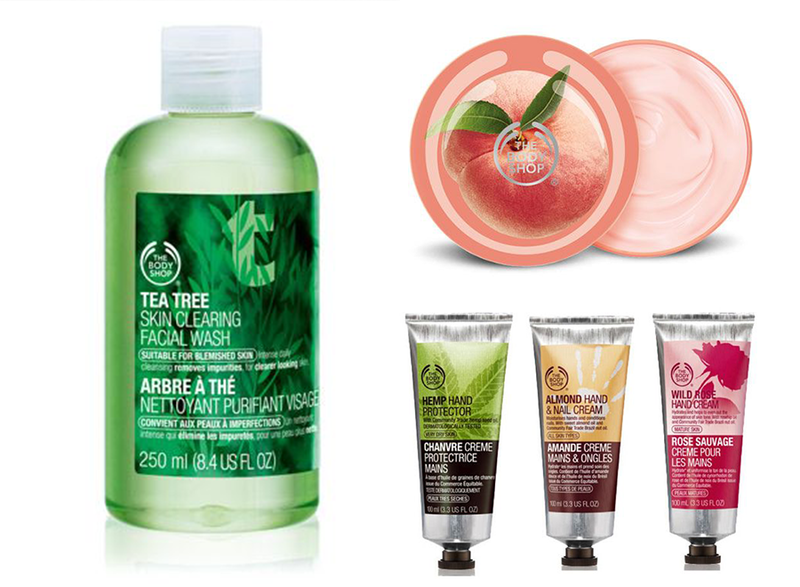 In recent years however The Body Shop has strayed and it's original mandate has been drowned in plastic packages, too many colours and an inconsistent approach to design. 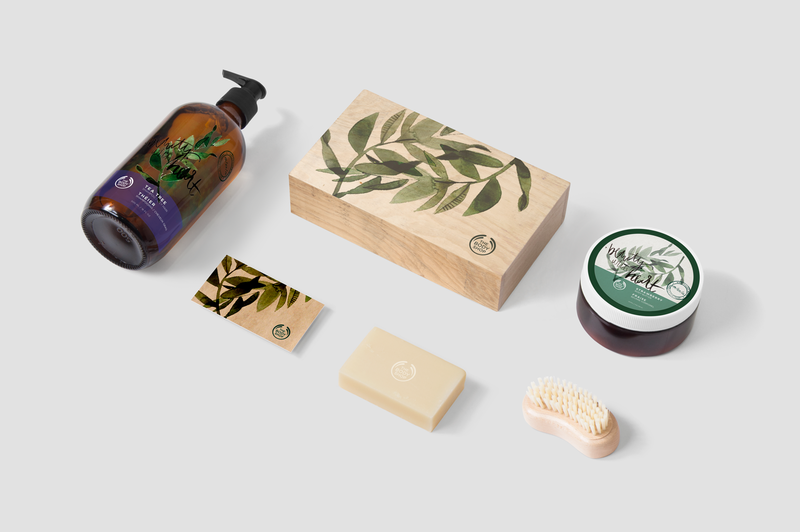 To bring The Body Shop back to it's roots of simple, authentic, and environmentally friendly beauty a focus on minimal packaging, natural illustrations and lettering, and streamlined product lines was decided upon. 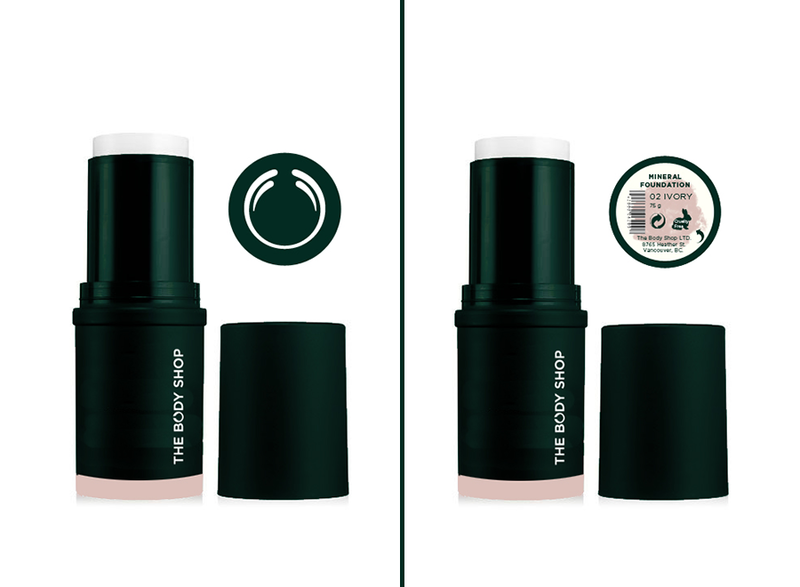 To bring cohesion to The Body Shop's diverse product line colour blocks were created, allowing ease of shopping for the customer. 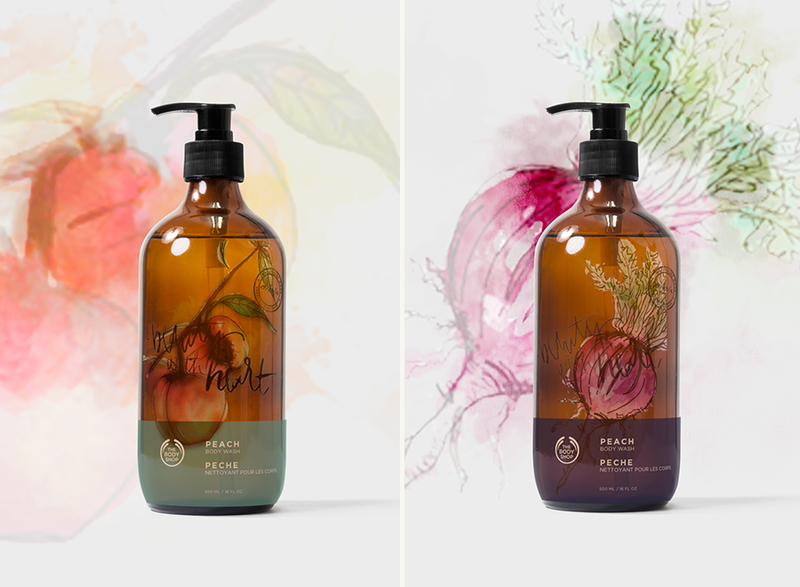 They first choose the type of product based on the colour block, and secondly decide by the main ingredient, which is illustrated in a loose botanical style on the front of each package. 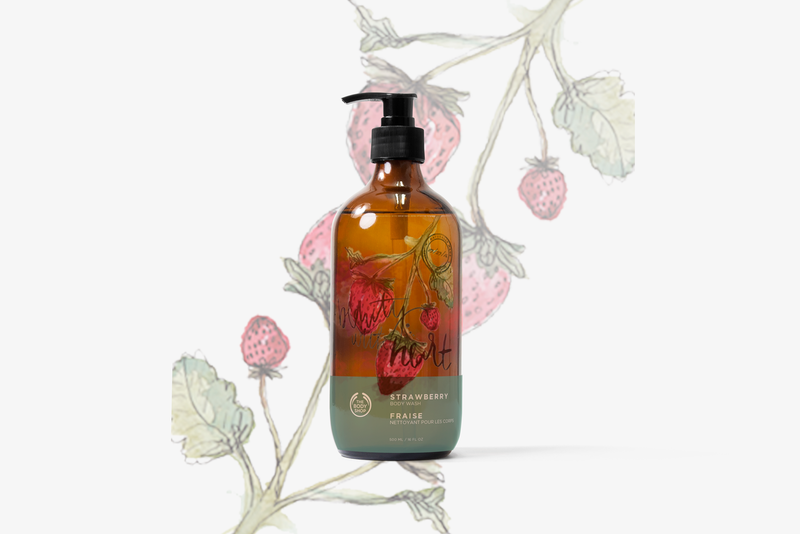 Refillable glass bottles and jars are implemented wherever possible and customers are encouraged to participate in the reuse with discounts on refills. 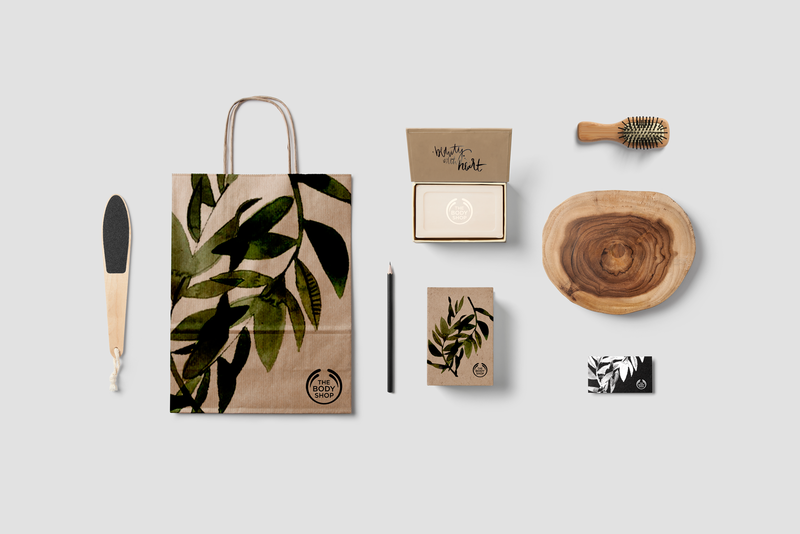 Bags, gift boxes and gift cards are made of recycled paper and wood and feature vegetable dyes in the tea tree pattern. 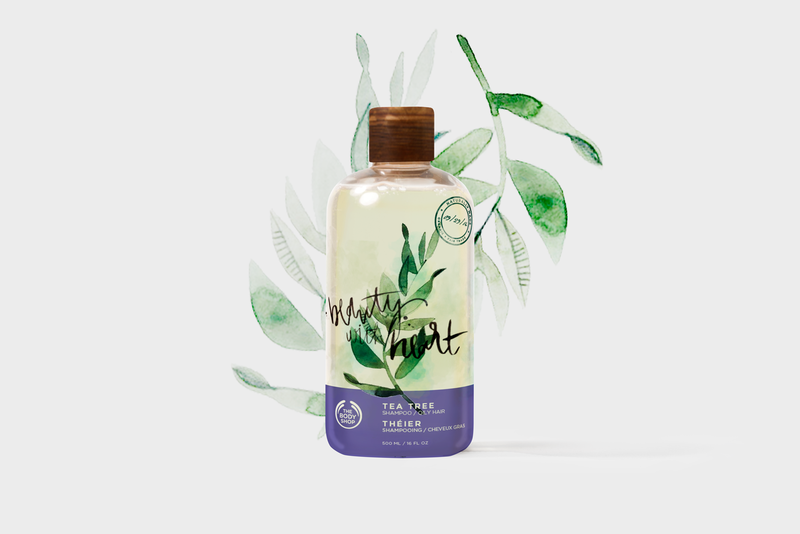 Loose hand lettering is used to bring The Body Shop's tagline of "Beauty with Heart" to life in a more organic and raw way. 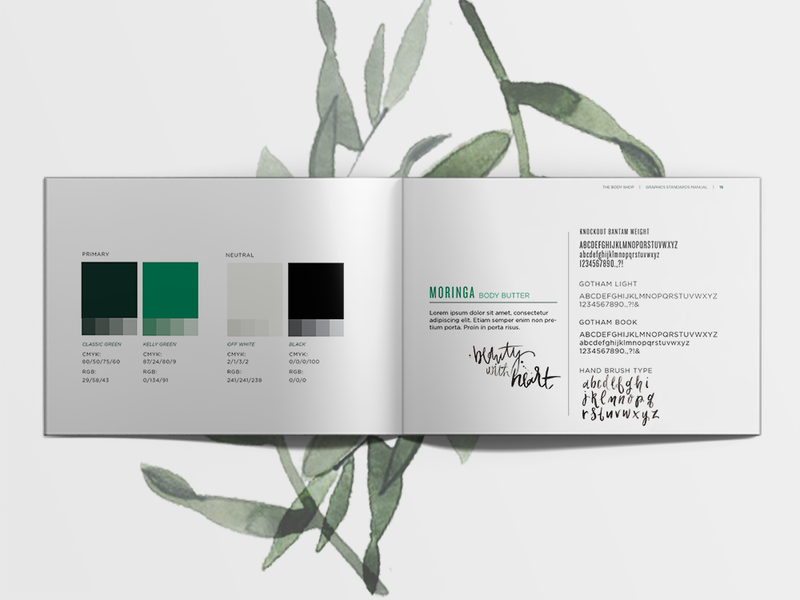 For cohesion between their many stores each one would be supplied with a brand guide book for visual merchandising and standards.